R Mag Favourite: Firecracker chicken hotbox. Starbucks is one of the leading brands of speciality coffee and we are very proud to have our very own coffee lounge. Enjoy a delicious selection of freshly prepared panini, sandwiches, salads and wraps. We’re always adding new mouth-watering items to the menu. Open: for lunch & dinner. R Mag Favourite: Chicken club pizza. ‘Better Ingredients, Better Pizza.’ Whether you choose to eat-in or takeaway, the result is pure pizza excellence! R Mag Favourite: £3.50 Meal Deal, perfect picnic supplies. Our SPAR supermarket is stocked with all your essentials. We’ve got a fantastic range of fresh produce for a last minute bite to eat or ingredients for the perfect homemade dinner. With great deals across the store and award-winning food and drinks on offer, you’ll love shopping with us. Open: for breakfast, lunch & afternoon tea. R Mag Favourite: Classic afternoon tea. selections of tea & lunches, afternoon tea & some alcoholic beverages. R Mag Favourite: Beef Bavette from the new Market Menu. The Tapas Bar & Restaurant brings a taste of the Mediterranean to Ribby! Enjoy the Spanish culinary custom of Tapas in our inviting, family-friendly restaurant. Make the most of the Mediterranean experience and dine al fresco under our awnings, with patio heaters and plentiful blankets to keep you toasty warm! If you have room for dessert, try our famous ice cream sundae as seen in our TV advert! Open: for lunch, afternoon tea & dinner. R Mag Favourite: Roast fillet of lamb. Enjoy a taste of the finer things in life with lunch, afternoon tea or dinner in the stylish Orangery. 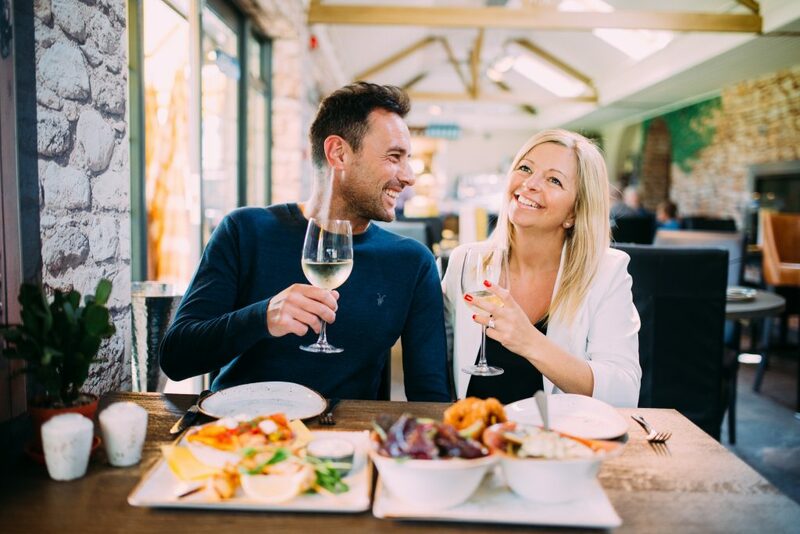 Our award-winning, adult-only restaurant offers the highest quality of seasonal and locally sourced food. Don’t miss cocktail Happy Hour, 5-7pm! 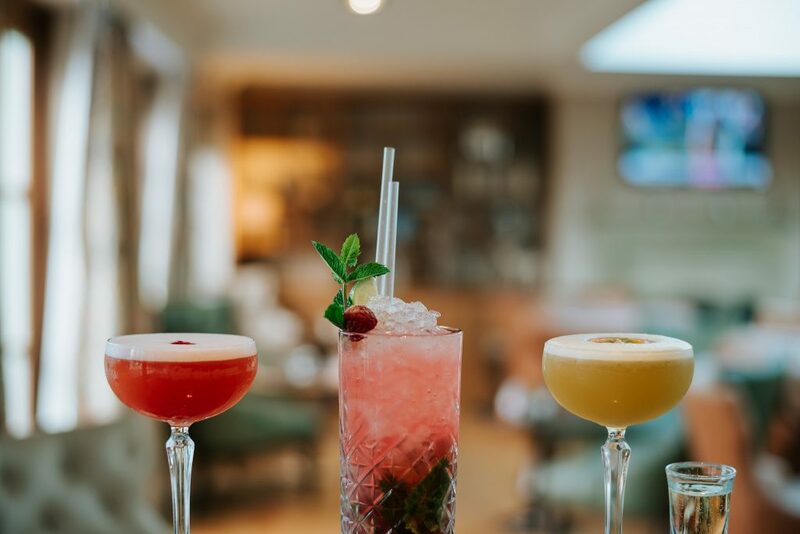 Our adult-only modern and contemporary sports bar features comfy sofas, large TV screens, a pool table and relaxing beer garden overlooking the picturesque boating lake. Harrison’s Bar also hosts weekend adult-only entertainment including bands, comedians and casino nights. See something you fancy? Make a reservation by calling 0800 107 1851 or visit ribbyhall.co.uk/dining. Do you nip into Starbucks for a coffee every so often or meet up with friends at The Tapas Bar & Restaurant for cocktails? Well did you know that for every £1 you spend with us we like to return the favour with 3 points, each point is worth a penny so before you know it you’ll have enough for a points to redeem anything from a G&T at Harrisons Bar to dinner at the Orangery. So next time you’re with us make sure you ask for your privilege card at one of our receptions and start collecting, even better register online to make sure you’re first to know about our double/triple point promotions and other offers we have on! You can use your Privilege Card in The Tapas Bar and Restaurant, Starbucks, The Tearoom, The Orangery, Harrison’s Bar, The Rowan Suite and The Woodland Suite.